If you ask me, snowy holiday evenings are meant for curling up under a cuddly blanket with a mug of something warm and tasty in your hands while watching the twinkling lights of the Christmas tree. In a medium bowl, beat together the butter & brown sugar until creamy. Then beat in the pumpkin puree until well incorporated. Add in the spices and beat another minute on medium speed. Spoon into a freezer safe bowl, cover, and store in the freezer for up to one month. Pour a shot of your favorite rum into a mug. Then add in 1-2 tablespoons of the buttered rum mix (I would allow the mix to sit out at room temperature for about 10 minutes before trying to scoop it out). Pour in boiling water to about a half inch of filling the mug and then mix. 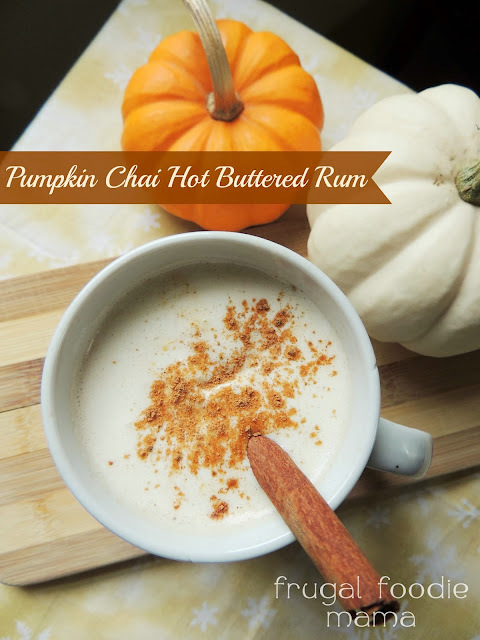 *I originally shared this recipe as a contributor post for White Lights on Wednesday on November 15, 2013.